A short 4 part mini series, Mimi is about a young web comic artist who is struggling after losing his memory. Shim Chang Min plays our struggling Han Min Woo. 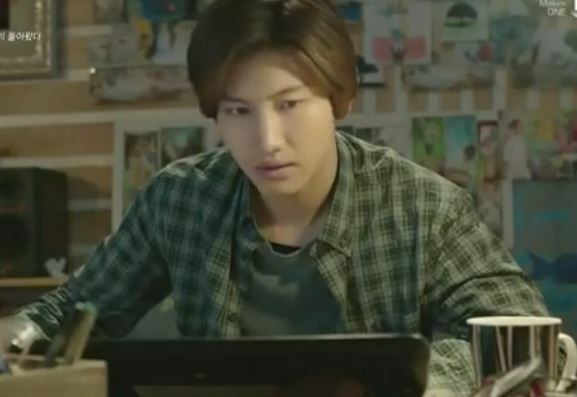 He brings a beautiful nuanced performance to Min Woo who is a loner. He’s a sad character whose only source of warmth is the occasional visit from his mother. Min Woo is working on a new comic and its just not going well. His forgotten memories are trying to come back and they are putting him through hell. The real problem? He doesn’t know he’s got forgotten memories. He has found an old calendar that he doesn’t remember writing in. Its the genesis behind his newest web comic. Unfortunately, he’s run into a serious case of writers block. He knows the story is supposed to go somewhere, but he just can’t think of what comes next. The mystery calendar leads him on a journey to find the answers and maybe finally set his mind at rest. As he struggles to find answers to questions he doesn’t know he’s joined on this journey by a few people. Meet Jang Eun Hye. She’s the manager of the company that is producing his web comic. She has a forward vision about the importance of web comics and wants to actually have a gallery opening showcasing the talent. Min Woo is one of her picks for that presentation. 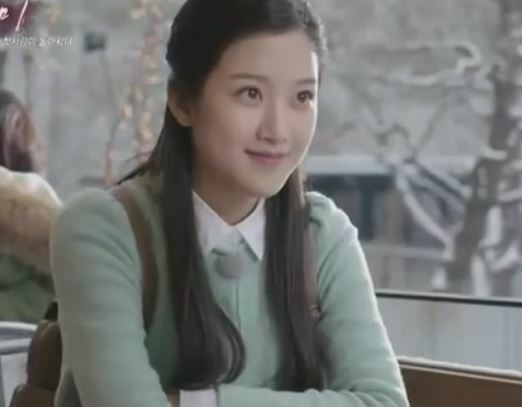 As she gets to know him, she develops a crush on him, but as she tries to move forward, Min Woo is too busy looking back for answers to a past he doesn’t remember. Meet Mimi, our title character. Its clear from the beginning that she is infatuated with our artist. She follows him everywhere, but there is something out of kilter. Min Woo apparently can’t see her. He might sense that she is there…..or he might not. She is the keeper of his lost memories. A ghost who is looking out for her Min Woo. Meet our grim reaper. 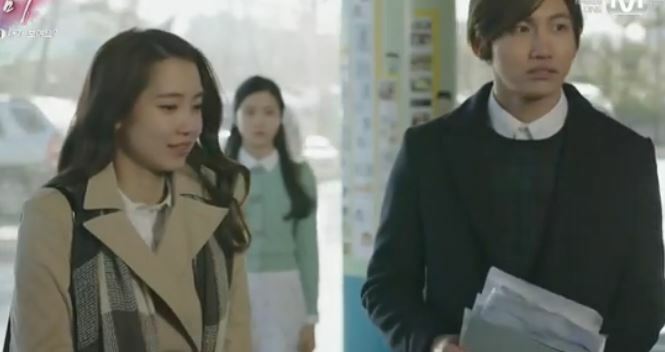 He is keeping a close eye on Mimi and Min Woo. He is both guide and guard. This short series, not only having a moving love story, also talks about the importance of our memories, good or bad, to our overall happiness. Good or bad, our memories help define our lives and gives us grounding. 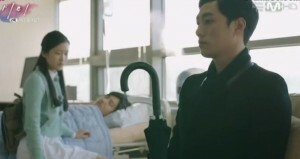 When Mimi dies, she requests that the Grim Reaper remove all memories of her from Min Woo. In my opinion this is an incredibly selfish request. I’ve seen people make requests of “just forget me” when things don’t work out or go their way or if they are dying. Sorry peeps, we humans don’t work that way. I don’t know what it is with Asian culture that puts so much emphasis on not burdening people. It gets to the point in these stories that people do incredibly stupid things to avoid burdening anyone with any type of emotion. In the process, they deny so much that both people need in the relationship, whatever the dynamics are. I guess having the understanding that the challenges of caring for others who are going through hard times and also dealing with the suffering of bad memories are part of what makes us grow into better people makes it seem silly to deny a person their memories. It is the height of selfishness to me. Its not really about the sadness or happiness of the other person, its the responsibility the leaving individual feels that they want to get rid of. Life doesn’t work out that way and as Mimi shows so beautifully, memories of good and sad times can be beautiful things that allow for forward movement in our lives to other good things. I’ve had my share of nightmare experiences. Things I’d probably rather forget, but I can’t forget what I learned from them. Those lessons are invaluable and that means that I can’t even really regret the hell I went through. Mimi is a wonderful story of first love and dealing with the pain of death. I highly recommend it as its a very well told story. The way the story is laid out to you in pieces takes a little bit of getting used to, but you catch on quickly. 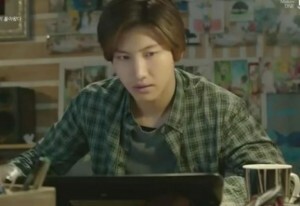 Since Mimi always looks the same, you have to watch for Min Woo’s hair. Sometimes that’s your first clue one is in a memory scene. The ending is realistic and wonderful for a show that has a supernatural edge to it. While its not the happy ending you might be expecting, its still a happy ending none the less.